Greywater is the domestic wastewater resulting from household water use. Some sources such as water from showers, sinks, or bathtubs is generally safe to use for garden irrigation. This is a guide about using greywater in the garden. Greywater is domestic waste water from activities such as laundry, dishwashing, and bathing. Unlike sewage water (which is referred to as blackwater), greywater can be safely recycled for use in the landscape without the use of any special treatment systems. Because we use large amounts of this type of water for daily household activities the average bathtub uses 26 gallons, in extreme drought conditions greywater can be a great way to conserve water. The organic contaminants in some greywater, such as food particles, can supply plants with valuable nutrients for growth. However, greywater that is heavily contaminated with salt, soap residues, fats, or grease can be toxic (to both microbial and plant life) and should be avoided. Some types of domestic greywater are better than others for use in the garden. In order of preference they are: shower, bathtub, bathroom sink, and utility sink, provided bleaches or strong detergents have not been used. Water from dishwashers and washing machines is not safe to use as it contains too much detergent. Depending on your home's air quality, the water you collect from your dehumidifier may also be used. In fact, water from this source can actually be better for your plants than the water from your tap. Unlike tap water, a dehumidifier condenses water vapor out of the air so it contains none of the dissolved minerals that are sometimes present in tap water. It's unsafe for human consumption as there may be bacteria growing in it, but it should be fine to use on your plants. Edible fruit, vegetables, or herbs. Acidic soil-loving plants (detergents are alkaline). Newly propagated or container-grown plants or plants grown in a greenhouse. Areas where it might form puddles that attract playing children or thirsty animals. Greywater can be transported directly to the garden from a bathtub (or sink) in a bucket, or the water can be diverted from your plumbing to the garden using a hose. Pipe diverters, available at hardware stores, are used in the same way as rainwater diverters from a downspout. They can be fitted to the waste-water drain from the bathroom and fed into an outdoor barrel or container dedicated for greywater. Always store greywater in a dedicated container fitted with a lid, and use it as soon as possible after it has cooled. 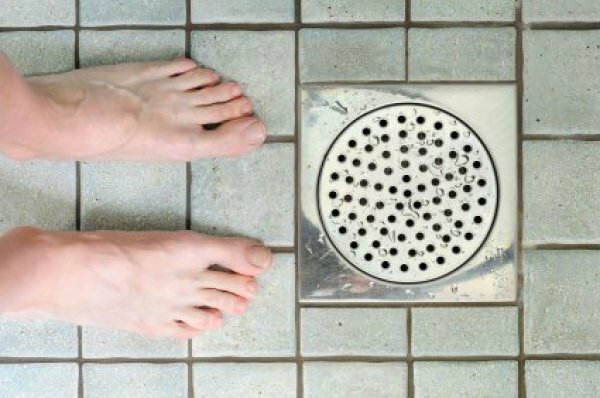 Because greywater contains organic solids, it can become smelly and unpleasant (and provide a breeding ground for disease pathogens) in only a few short hours. Apply greywater to the soil near the plant, never directly on its foliage. Do not use greywater containing bleaches, bath salts, artificial dyes, cleansers, and products containing boron. Avoid sodium-based detergents. Instead, use all-natural, biodegradable soaps with ingredients that are labeled safe for the environment. Avoid using greywater with dripper or fine nozzle irrigation systems, which can become clogged by suspended particles in the water. To prevent harmful salts from building up in the soil, alternate applications of greywater with other irrigation methods. I keep a large empty bucket by the floor near my kitchen sink. As I rinse off my dishes, I collect the water in a container in the sink. (I use an empty large sized yogurt container.) Then I pour the water I collect into the bucket until it is full. Every time I washed fruit and vegetables or used the salad spinner I put the 'dirty' water into a bucket. I was really shocked when by the end of the day the 2 gallon bucket was almost full! This one comes from my dad. When I was young, he maintained a very large garden and my mom canned most of the fruits and veggies that we ate. One year because of a water main break, all outdoor watering was banned. The concern that I would have now days with gray water from the laundry is that the soap has various chemicals in it that they didn't have maybe 20 or 30 yrs ago when it was more prevalent in using gray water for the garden. What are the effects that the new grey water will have on the plant growth and eventually on your body when you eat the food from the garden? It's been my experience that most people who care enough for the environment to use gray water also use biodegradable laundry soaps, or at the very least a home made laundry soap that has far less chemicals in it than most did 20 years ago. You may find your garden to be more lush and green. Jerry Baker recommends using dish liquid as a surfactant so fertilizers work better.. YOur garden might have fewer harmful insects... I wouldnt use wash water with chorine bleach on my garden. It might kill the plants.. The percentage of soap in the water is so miniscule it really doesn't make a difference, especially if you're economic with the amount you use-you don't need much soap to do the dishes if you use it properly. It isn't so much the soap, but the borates and chlorines used, I switched to Shaklee Basic L, which has a washing soda base, and my kids' skin looks better, plus it goes a long way! The soap issue is impostant regarding how you plan to use the greywater. For example if you plan to use the water for the garden you need to be concerned about salts in the detergent. Most detergents contain salt which is bad for plants. Even some of the eco friendly detergents. Safer to use soap nuts which is a nut from a tree that produces saponin, a soap type susbtance. There's a guy in our area who diverts all of his washing machine grey water to his garden, and he has the most lush, green and tropical garden probably in all of Arizona. He uses cheap laundry detergent, and I don't know if they use Clorox or not. 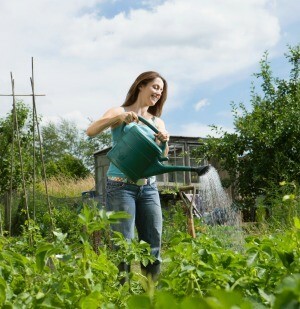 Is it possible to water the garden with the water from your washer? Maybe just the rinse water?